Do You Understand “The Good News” Like Abraham Did? The Good News Predates our current religious divisions, because it existed from the beginning. “You, (religious experts) pore over the Scriptures because you presume that by them you possess Eternal Life. These are the very Words that Testify about Me, (Y’shua), John 5:39. Physical eyes cannot see, or perceive, the Spiritual revelation of The Good News, 1 Peter 1:25; Romans 7:14; Revelation 14:6. What Does The Good News of Salvation Mean? David, the anointed King of Israel, a Hebrew from the tribe of Judah, wrote Psalms about The Good News of Salvation, 1040-970 B.C. 500 years before David, Moses was given Torah, (The Way of Truth and Life), a physical picture of the Spiritual Good news. 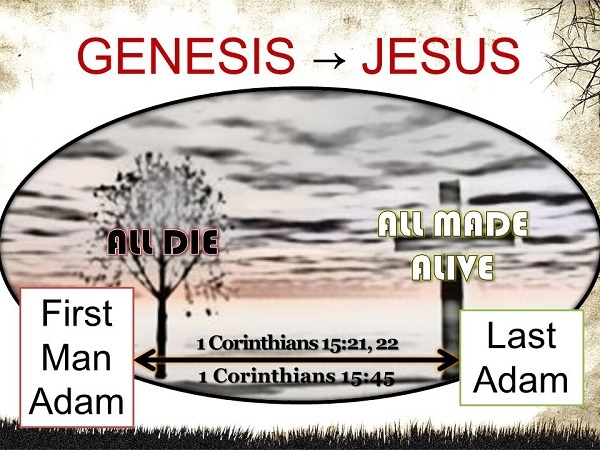 Abraham, the first Hebrew, and father of all nations/peoples knew the Good news, just as Noah and Adam and Eve… They all died with hope in *YHVH’s Salvation. From the beginning, at the origin of the Curse, the consequence of Sin being Death, YHVH promised a Blessing. Adam and Eve put their trust in YHVH’s promise, someday a Woman’s “Seed” would have Victory over death. *”Under Your Feet,” “Crush your Head,” “make your enemy a footstool,” these Hebrew idioms portray Victory. Picture a Victorious King standing with His foot on his enemies head, Joshua 10:24; 2 Samuel 22:41; Hebrews 1:13. Shama, is translated; proclaim, announce… but it means; Hear, Listen, Do, Obey. Shalom, means so much more than Peace, it’s Complete Wholeness, Health, Security, Safety, being made Right. It’s the opposite of everything wrong. Tov, means, Everything Good, as opposed to everything Bad. Y’shua, you may recognize as the original Hebrew name of Jesus. It means Salvation, Deliverance, Victory, Help…The full name, Y’hoshua, (Joshua) means YHVH is Salvation. “And how can they proclaim unless they are sent? As it is written: “How beautiful are the feet of those who bring Good News!” Romans 10:15; quoting Isaiah 52:7.
Who Inherits Spiritual Life on the New Earth?